HUNTINGTON, W.Va. — There were a few flashes, but none of them were golden. 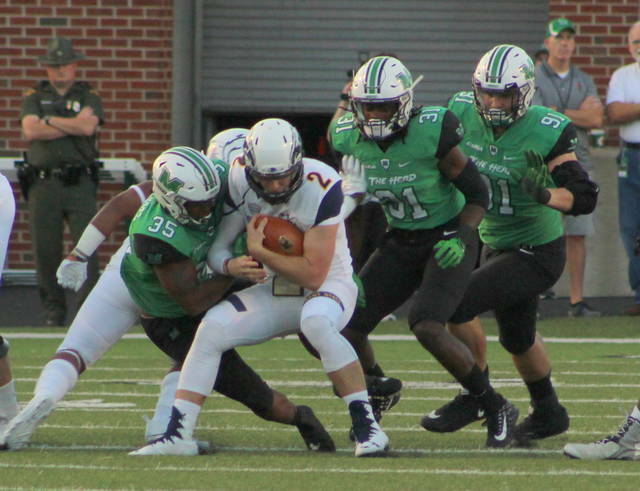 Marshall recorded its first shutout in just under two years while mustering just enough offense to secure a 21-0 victory over visiting Kent State in a non-conference football contest at Joan C. Edwards Stadium. 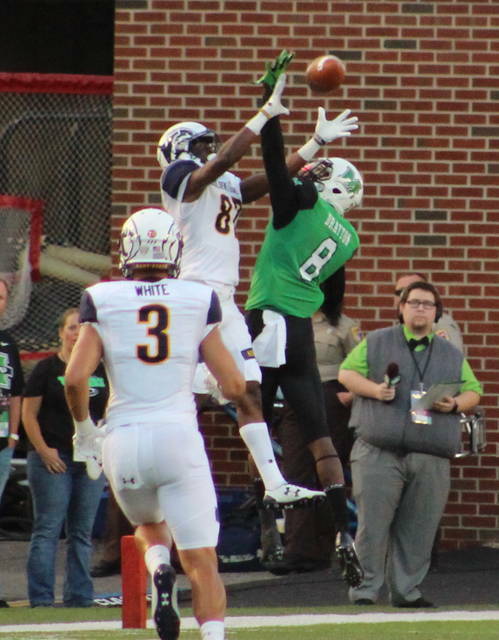 The Thundering Herd (2-1) put together a defensive gem that included limiting the Golden Flashes (1-2) to just 259 yards of total offense. KSU also mustered only 14 first downs and went 4-of-15 on third down conversions. A Chase Litton to Marcel Williams touchdown pass with six seconds left in the first half allowed MU to take a 7-0 lead into the break, and the score remained that way until midway through the fourth. 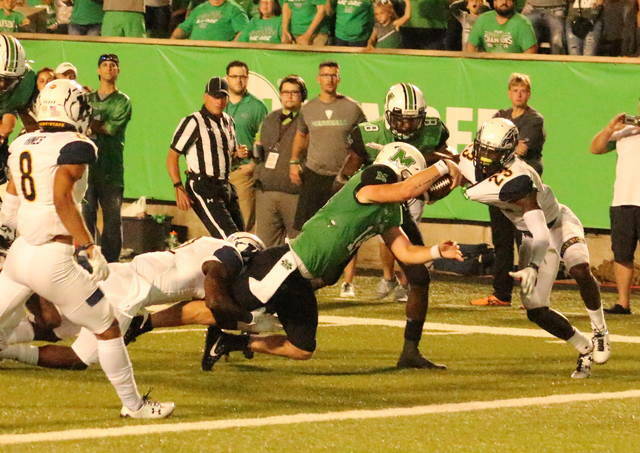 Litton scored the Herd’s first rushing touchdown of the 2017 campaign on a 14-yard run that included a successful dive near the goal line. 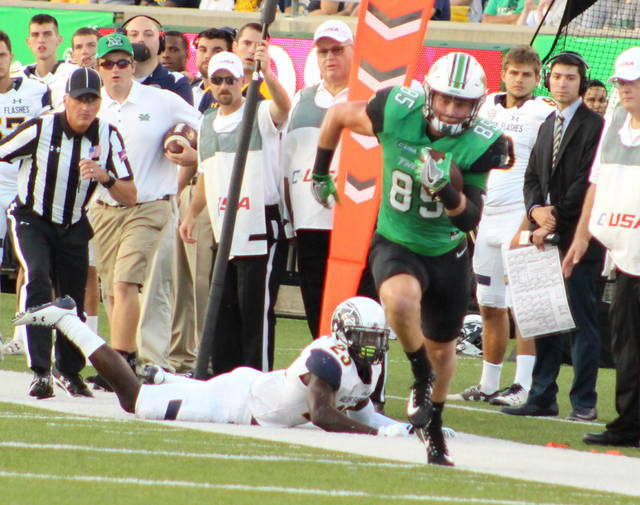 Litton’s scamper gave Marshall a 14-0 cushion with 7:03 remaining in regulation. Tyler King tacked on a 29-yard TD run with 1:08 left in the game, wrapping up the Herd’s 21-0 triumph. Marshall now owns a 19-18 lead in the all-time series with the Golden Flashes, including a dozen consecutive wins. MU also improved to 2-0 at home this fall while going unbeaten against Mid-American Conference opponents. Complete details of Marshall’s victory over Kent State will be available in the Tuesday sports edition of the Point Pleasant Register.